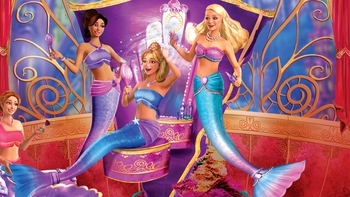 Barbie: The Pearl Princess is a Film programme that first aired in 2014 and has been classified a U certificate. Lumina is a mermaid girl who doesn't know that she's really royalty. With her friend Kuda, a pink sea horse, they travel to a fantastic underwater kingdom.